As a fee-only advisory firm, our financial advice is objective and based on the knowledge gained through years of in-depth professional training and experience. Our team isn't here to sell you any products. We offer independent fiduciary advice to help you meet your goals. Your trust is paramount to us, as we want you to turn to us whenever you have a question and through all the phases of your life. Fee-only investment advisors are held to a fiduciary standard. Working with our Registered Investment Advisory firm lets you know that your interests come first. Our goal is to provide comprehensive financial planning and investment management that helps you define and exceed your goals. 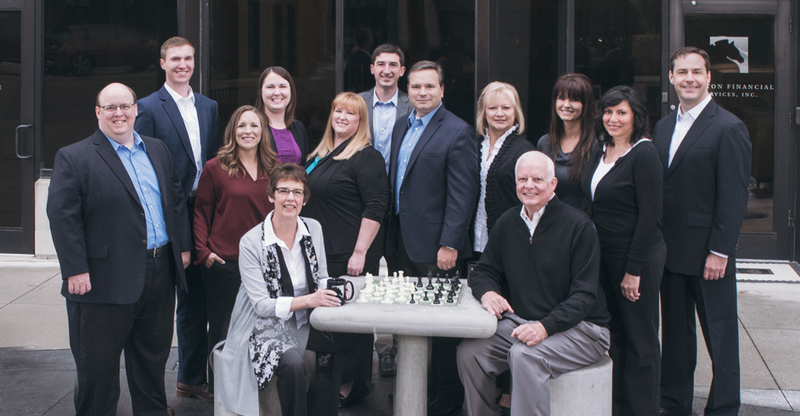 Clayton Wealth Partners offers a menu of comprehensive financial solutions to help you meet your goals. We only hire people who are qualified and have the proper accreditations, so you can rest assured with the knowledge we provide. What’s more, you will actually receive the support of three teams, each with their area of expertise: the advisor team, the investment team, and the operations team. Although each of our teams will draw on their particular expertise, they will also work together to provide you with cohesive service. With every client meeting, whether by phone or in person, we continually work to educate on some aspect of your financial life. In addition, we publish a quarterly newsletter and host seminars on topics that matter most to our clients. The Investment Advisers Act of 1940 imposes a fiduciary duty on investment advisors. As a fiduciary, Clayton has a duty of utmost good faith to act solely in the best interests of each of our clients. Our clients entrust us with their funds, which in turn places a high standard on our conduct and integrity. Integrity demands honesty and candor, which must not be subordinated to personal gain and advantage. 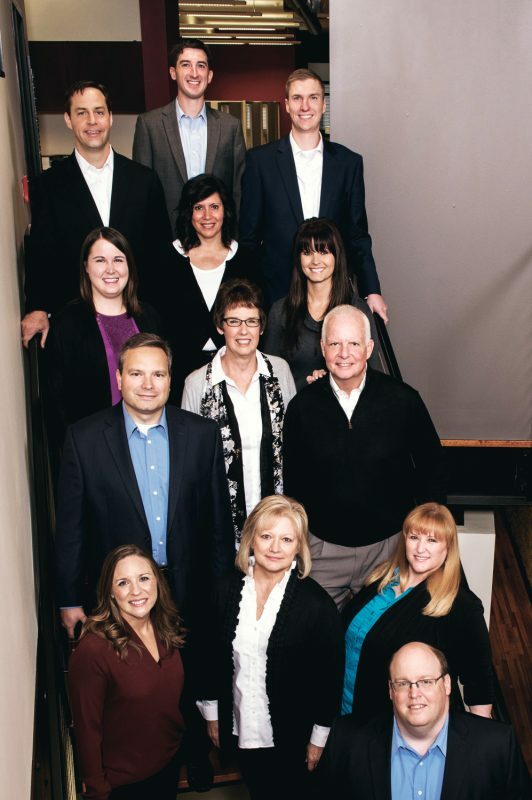 Clayton Wealth Partners respects the trust and confidence clients place in us and we recognize our responsibility to be competent, objective, fair, diligent and professional in our relationship with our clients. Our fiduciary duty compels all employees to act with the utmost integrity in all of our dealings with the public, fellow professionals and colleagues. This fiduciary duty is the core principle underlying this Code of Ethics and represents the expected basis of all of our dealings with our clients. We believe that evaluating and controlling risk matters at least as much as pursuing above-average returns. We strive to position our clients to receive investment returns commensurate to the investment risks they assume. If we avoid big mistakes, investment returns will take care of themselves. Current valuations determine future investment returns. The two most important numbers that determine future investment performance are the price paid for an investment and the price for which it’s sold. Therefore, we work to reduce or avoid exposure to investments we believe are priced unreasonably or less attractively than others. We have a long-term perspective for long-term investments. In the short term, asset prices are influenced by randomness and market psychology. But over the long term, prices of financial assets are determined by economic fundamentals. We will accept short-term underperformance during the occasional periods where asset prices decouple from fundamentals if it means we remain positioned for long-term investment success. We would rather be consistently good than occasionally great. In our opinion, prudent wealth creation and management are determined over a period of frequent and reasonable successes, rather than a stretch marked by years of lackluster performance with occasional instances of brilliance. Appropriate diversification helps with this endeavor. Opportunity comes with patience. We think it is much more responsible to wait for attractive investments to come to us, rather than attempt to force opportunities that aren’t there. This often requires us to take on a contrarian mind-set. Randy and Debra Clayton have a decades long commitment to the local community. Clayton Wealth Partners reflects that commitment. Clayton policies encourage all employees to engage in community and volunteer work, and its employees donate hundreds of hours and thousands of dollars a year to various not for profit organizations. 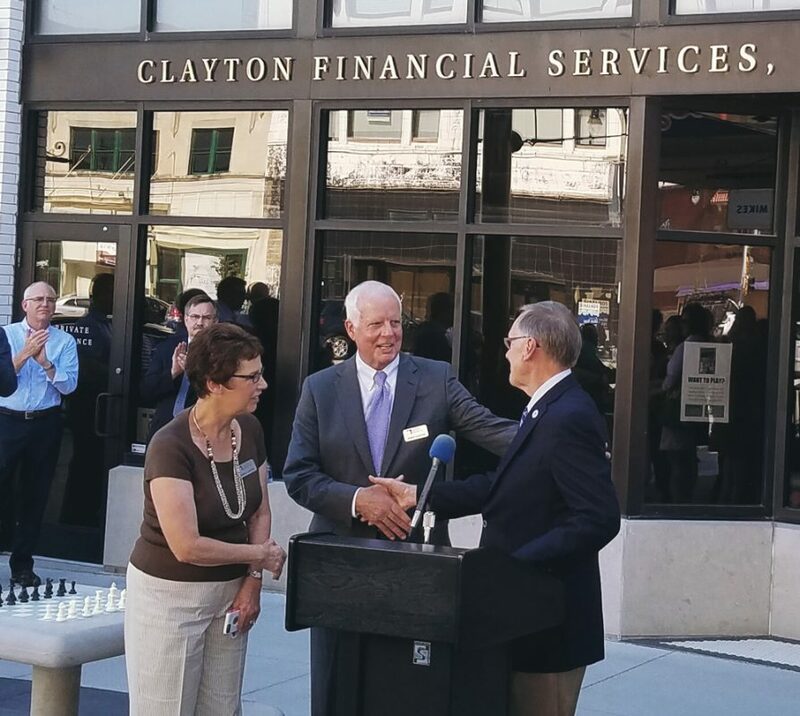 Clayton has committed to major donations to local charities, civic organizations and the revitalization of downtown Topeka. The lot where our building is located is part of the Original Town of the Topeka Township, which was founded on December 6, 1854. 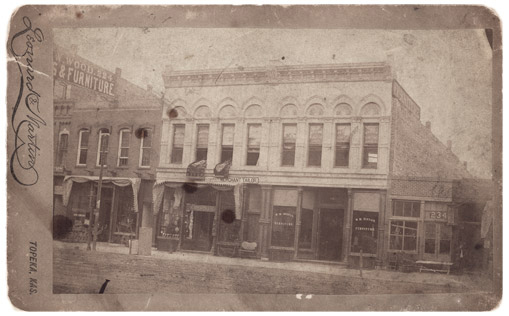 The surviving records for our location date as far back as 1860—the year Abraham Lincoln was elected as the sixteenth President of the United States. 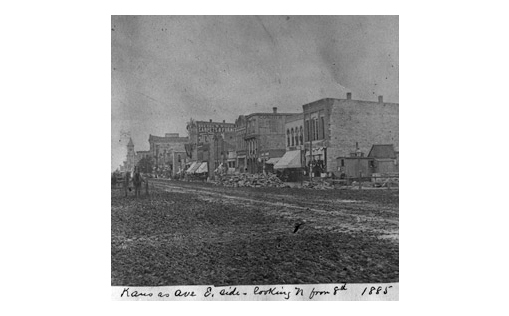 By 1880, ordinances overseeing construction were put in place, and suddenly permits were necessary for constructing everything from three-story hotels to backyard chicken coops. 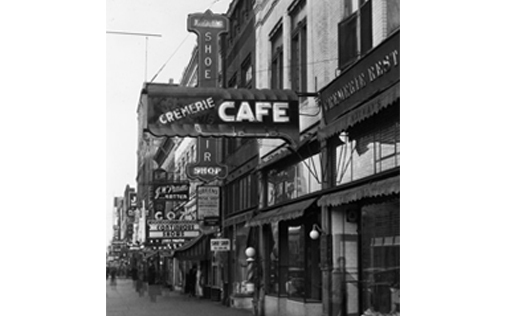 The twentieth building permit in the history of Topeka allowed our building to expand up to 25 feet wide and 60 feet deep, which allowed multiple businesses to operate out of the same address. A small merchant's apartment was situated at the rear. In the fall of 1909, the city issued building permit #14547 to construct a new three-story stone and brick building at this site, while at the same time, the building to the south also underwent a major new construction. The two owners agreed to apply a single brick facade across both structures. While unusual today, the white glazed brick had been the height of fashion at that time, influenced by the design of the 1893 World's Columbian Exposition in Chicago. Another example can be seen at 5th and Kansas. 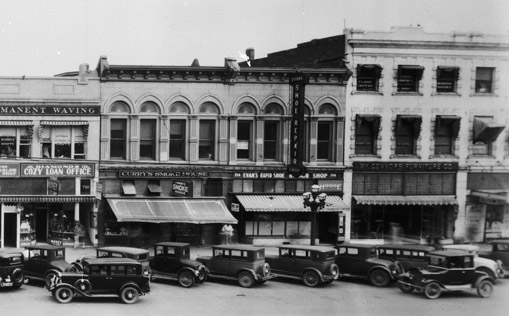 In 2008, in the height of the recession, Clayton purchased and moved its operations to historic 716 S. Kansas Ave., now a fixture in the middle of Topeka’s downtown redevelopment. Additionally, Randy and Debra Clayton purchased and renovated 718 S. Kansas Avenue into storefront and luxury apartments. Finally, in 2016, following a fire destroying nearby 720 S. Kansas Avenue, Randy and Debra committed to the construction of a new three-story building, one of the only new construction projects in downtown Topeka in a decade. 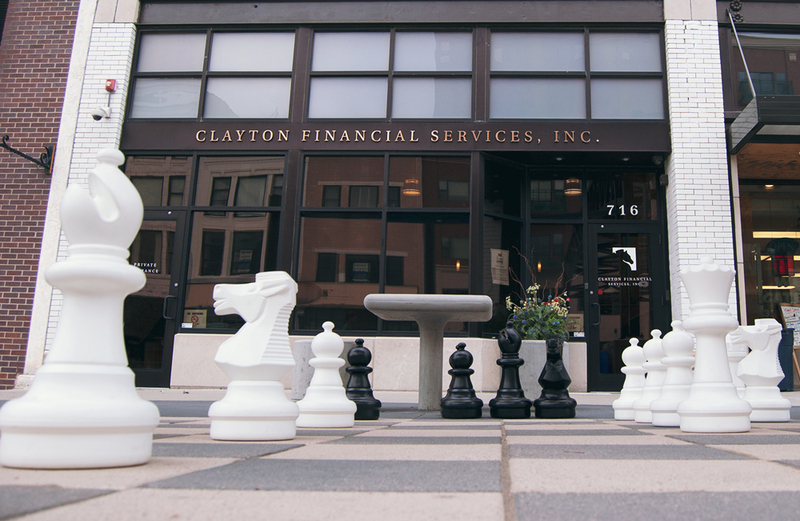 Like our clients, Clayton is committed to its community. We offer a 30-minute introductory call to discuss your situation and share how we may be able to help. Schedule your complimentary call today. Clayton Wealth Partners is not responsible for any information on any externally linked website.